I've been so busy behind the camera lately that I've fallen behind in my blogging, but Halloween is the perfect day to kick it back into gear and share some of my favorite images from Saturday morning in the photo booth at the Coppell Farmers Market benefitting the Coppell Humane Society. A few times a year the Humane Society "puts on the dog" with the most excellent photo booth set up for fun pictures of your family, kids, pups or all of the above. There's always a lot going on at the CHS tent; sales of merchandise (they have THE BEST sweatshirts around, so comfy! ), calendars and chocolates courtesy of Coppell's own Choco4Charity, regular appearances by PUPPIES and foster dogs, and the photo booth (usually manned by yours truly). It's a "must do" whenever they're in attendance and a great example of Coppell community support. If you're interested in booking a family portrait session for Christmas, you can contact me here, but hurry, my calendar is quickly filling up! The pictures were emailed the next day (Sunday 10/30), I didn't receive a bounce notice for you, so perhaps check your spam folder? 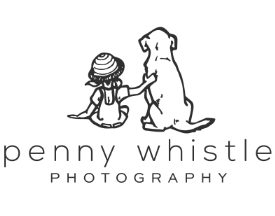 You can also email me directly at pennywhistlephotography@gmail.com. Cynthia Marie Ringwald - hi, my sister and I were there with our kids Saturday at the coppell farmer's market, where we enjoyed getting our picture taken. I didn't get much info on when our picture would be emailed to us. Easter Bunny Pictures for a Great Cause! Santa Paws for the Coppell Humane Society! Uncle Sam Has Gone To the Dogs!